Team India has performed excellently in the 2013 ICC Champions Trophy under the captaincy of MS Dhoni and is the only side who has won all three games so far. A total of eight teams are taking part in the on-going tournament and the remaining seven teams except the Men in Blue have lost minimum one match. 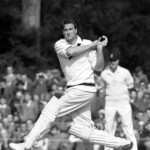 The eight sides were divided in two groups and India was placed in ‘Group B’ along with South Africa, West Indies and Pakistan. 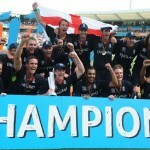 The hosts England, New Zealand, Sri Lanka and Australia were allotted ‘Group A’. India is the only side who grabbed six points and has already qualified for the semi-final spot along with South Africa from their pool. England has registered their place in the top four whereas the fate of the fourth team will be decided after the last and final pool ‘A’ encounter between Australia and Sri Lanka on June 17, 2013, at Kennington Oval, London. The Blue Shirts have outplayed the three rival teams in each and every department of the game and they are the most favourite team to clinch the coveted trophy. Below, we will highlight the performance of India in the three matches of their group ‘B’. 1- Vs. South Africa on June 6, 2013, at Sophia Gardens, Cardiff. West Indies – 9-233 in 50 overs, Johnson Charles 60 (55b 7×4 2×6), Darren Sammy 56* (35b 5×4 4×6), Darren Bravo 35 (83b 2×4), Ravindra Jadeja 5-36, Bhuvneshwar Kumar 1-32. The determined and in-form Indian side will play their semi-final on June 20, 2013, at Sophia Gardens, Cardiff, and their rival team will be disclosed after the final game of the pool ‘A’ between Sri Lanka and Australia on June 17th. The Men in Blue comrades are just two matches away from grabbing the 2013, ICC Champions Trophy and they are the strongest contenders for that.